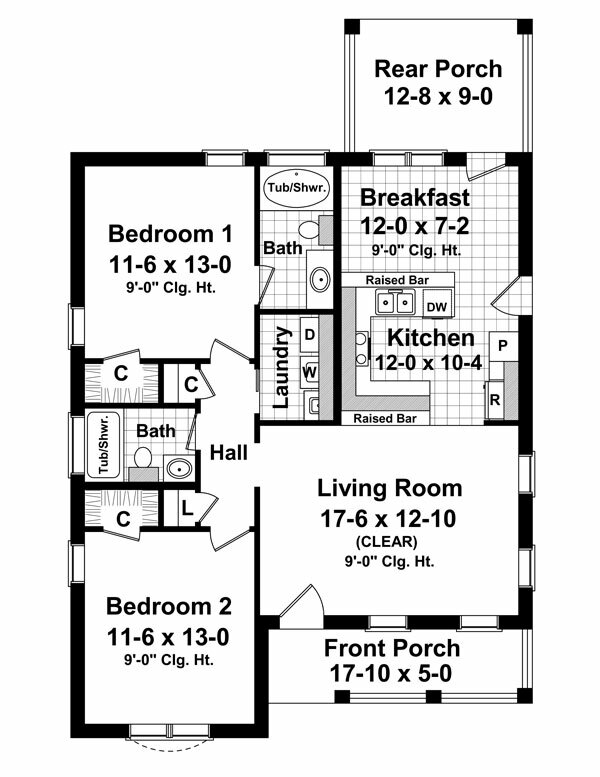 Great floorplan layout and plenty of amenities! This is a house design with many of the "most-requested" features. The home features an open floor plan layout for the living area. Additional features include two raised bars (great for visitors) and a sunroom/breakfast. The two bedrooms are larger than you would expect for a house this size, and one bath has a Jet Tub. A separate laundry, pantry, linen and broom closet compliment the layout of this floor plan. 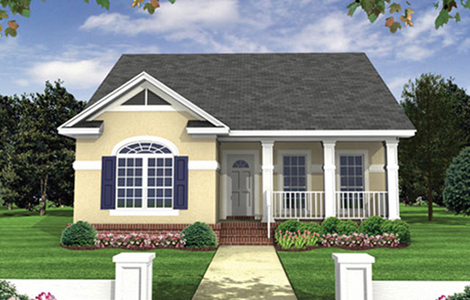 The front and rear covered porches provide spaces to relax with friends and family. This plan also features Insulated Concrete Panels that provide excellent insulation as well as structural stability..